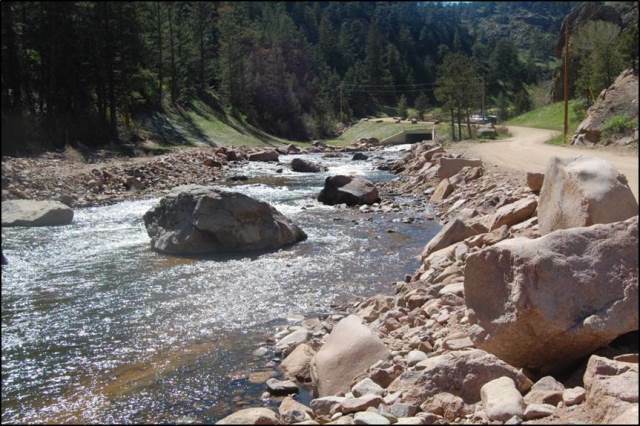 In partnership with the City of Longmont, Boulder County has restored a 1,960 foot segment of North St. Vrain Creek that was scoured and degraded by the September 2013 flood. 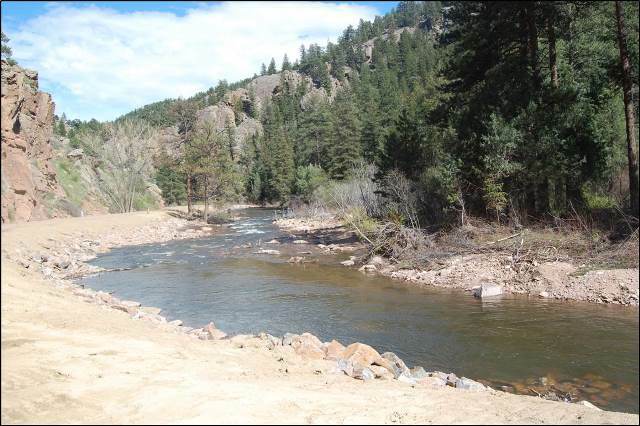 The N. St. Vrain Creek Collaborative Restoration Project is the first stream restoration project implemented using the Community Development Block Grant-Disaster Recovery (CDBG-DR) Watershed Resilience funds. View stream restoration design. 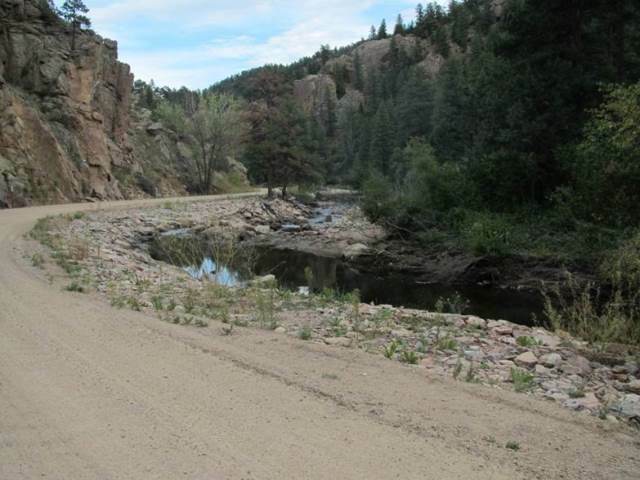 For more information on the road construction portion of this project, please see the Longmont Dam Road Reconstruction webpage. 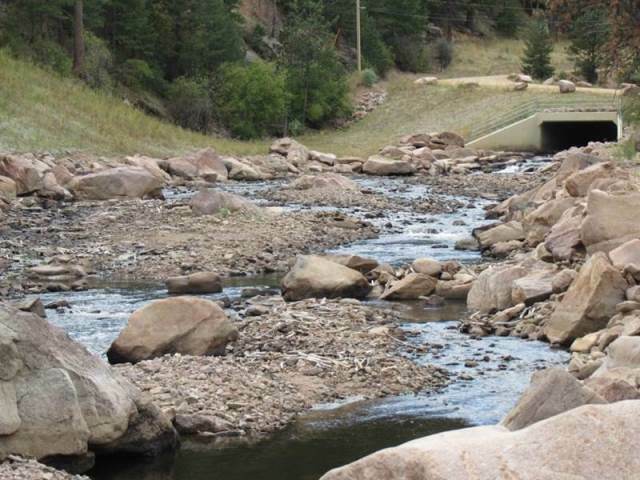 Watch a video on creating bank structures to help stabilize creeks.